Army Staff SGT. (Ret.) 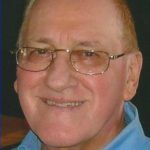 John J. Borosky, 80, of Simpson passed away Tuesday October 16th, 2018 at home. By his side until the end were his wife of 59 years, Mary K. (Pender) and his family. Born in Richmondale, John was the son of the late Edward and Mary Graytock Borosky. He was a graduate of Fell High School, Simpson. John served over 31 years (active duty 18+ yrs) in the U.S. Army/AGR units in Honesdale, Carbondale, Scranton, and Ft. Indiantown Gap, earning 19 meritorious service, achievement and commendation awards and medals during his career. He was a member of St. Rose of Lima Parish (St. Michael’s Church), and was proud of his early alter serving days at Holy Trinity Church. John was extremely proud of all of his children, attending all of their sports and academic events. 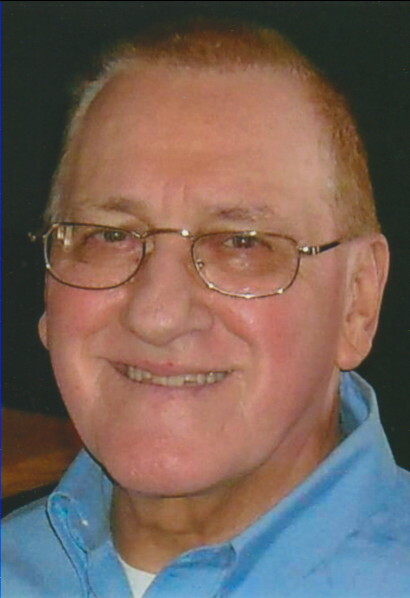 John was an avid sports fan and found great satisfaction working with children and helping youngsters develop, as seen in his 40+ years of coaching youth baseball and softball. John taught “respect and discipline first and baseball secondary”. In 1975, John earned the Carbondale Chamber of Commerce “Personality of the Month” award for his dedication to the youth of the community. John was a great athlete and one of his most thrilling moments was contributing to his 1953 Teener All-Star team that won the State and National Championships. He played baseball and basketball in high school and continued to play in numerous leagues thereafter. John became a Boston Red Sox fan in the 1940’s when he got to see his idol Ted Williams play exhibition games against the Scranton Red Sox. He also enjoyed watching the New York Giants. John had a great work ethic and his determination was unmatched. He was organized and meticulous (to a fault), but that did not carry over to his penmanship. John especially enjoyed keeping scrapbooks of his family’s achievements. He was also known for his spelling abilities and his knack for making up names for everyone. John was always supportive and made everyone feel special. The family would like to thank the Allied Hospice nurses, especially Barb, Debbie, Sue, and Mickey, and also the staff at Geisinger CMC. John is also survived by his children John and wife Shelly, Mary Lynn Surace and husband Frank, Jerry and wife Gayle, Cari Burrell and husband Fred, Patty Asinski and husband Mark, Joe and wife Dawn, Betsy Ciprich and husband Toby, grandchildren Amber, Michael, Laura, Jonathan, Jesse, Joshua, Emily, Jerry, Cory, Kyle, Cassidy, and great-grandchildren Alexis, Sebastian, Xavier, Maxxim, Kaesen, step grandchildren and great-grandchildren Jamey, Nikki , Alicia, Brittaney, Sadie, Brittany, Zachary, Seth, numerous nieces and nephews. John was preceded in death by siblings Mary Sweder, Edward “Jim”, Anthony, Michael, and Diane Boguski. The funeral will be at St. Michael’s Church, 46 Midland St. Simpson on Saturday October 20, 2018 at 9:30 am. Friends attending the mass are ask to proceed directly to church. Entombment with military services will take place at Our Mother of Sorrows Cemetery, Greenfield Township. Family and friends may call on Friday, October 19th from 4 to 8 Pm at the Joseph W Scotchlas Funeral Home, Inc. 621 Main St., Simpson, PA . In lieu of flowers, donations can be made to St. Rose Church, Carbondale, PA or to the donor’s favorite charity.